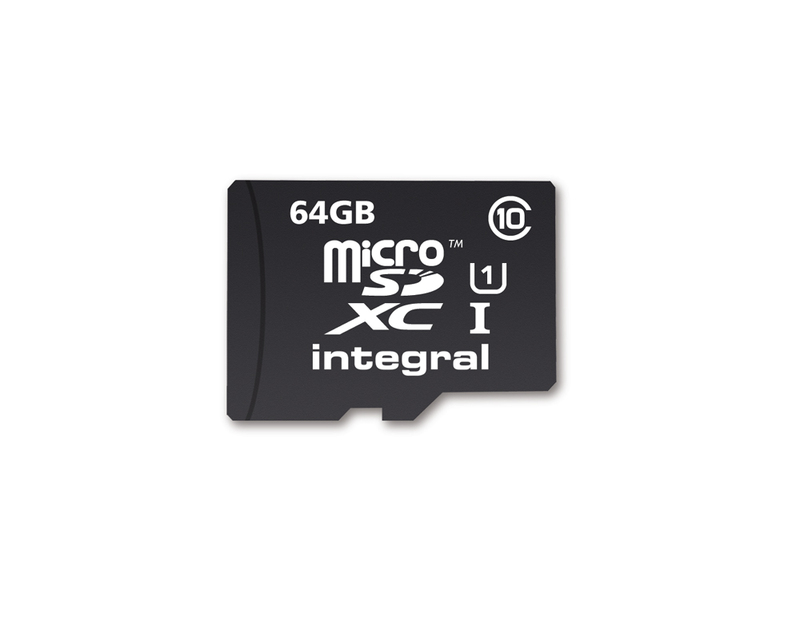 Integral UltimaPro microSDXC 64MB Class 10 UHS-I U1. 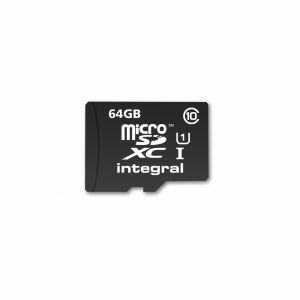 Integral's UltimaPro Muistikortti microSDHC and microSDXC Class 10 memory cards are ideal for use in smartphones, tablet PCs, digital cameras and Full HD camcorders. 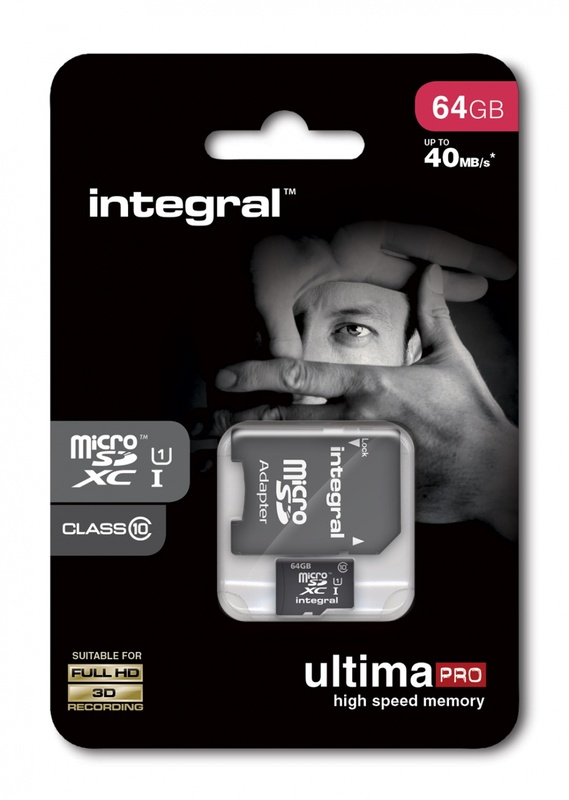 UltimaPro microSDHC/XC with Class 10 specification perform at up to 40MB/s transfer speed* and are designed to be used where fast memory cards are crucial; to capture high resolution images and to shoot Full HD video.